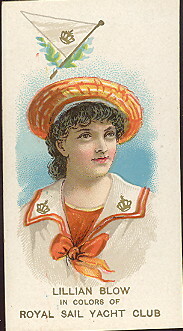 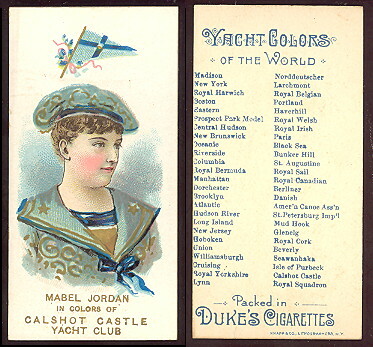 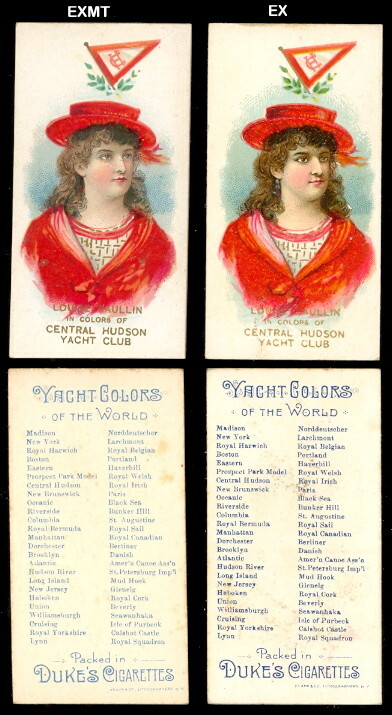 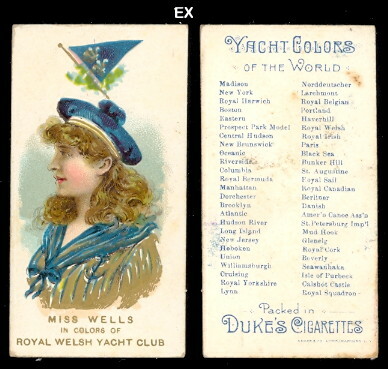 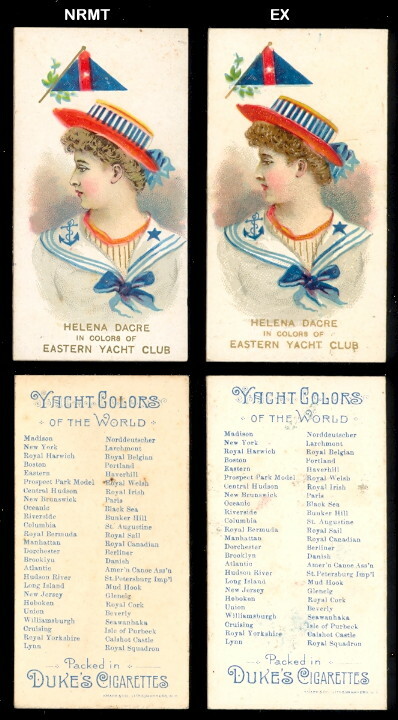 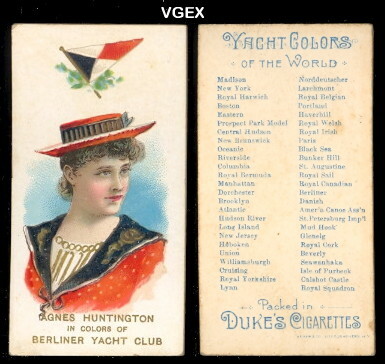 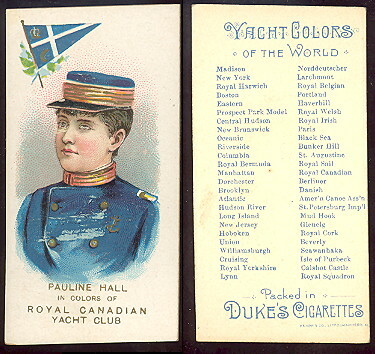 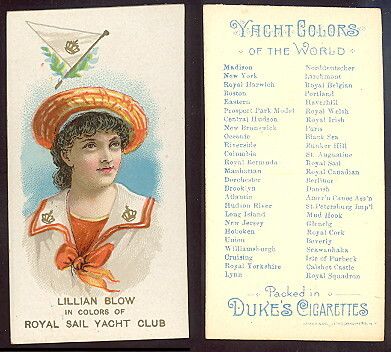 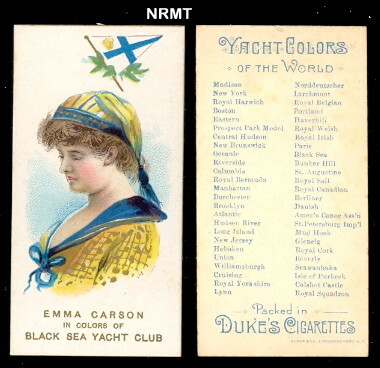 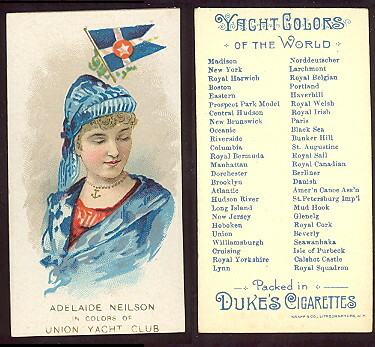 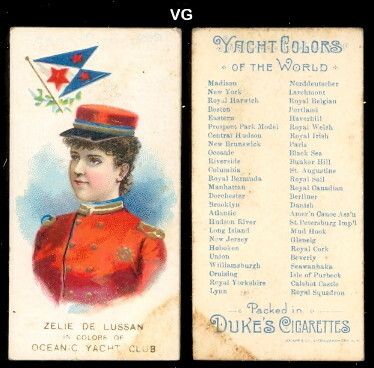 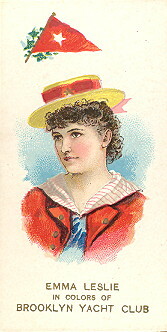 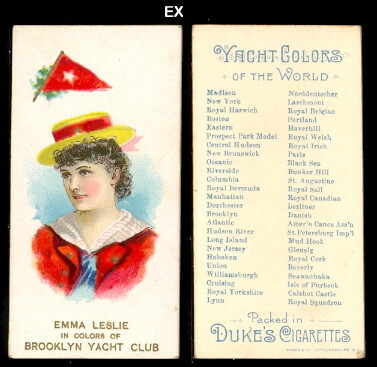 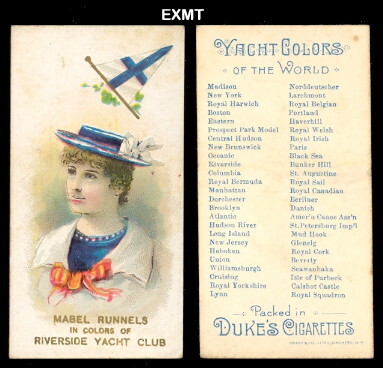 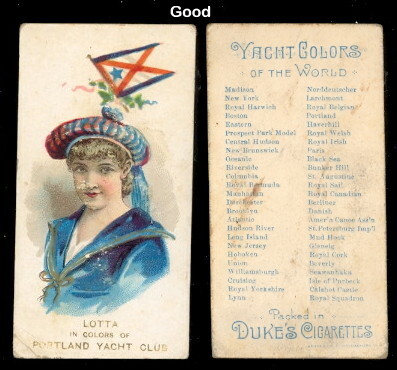 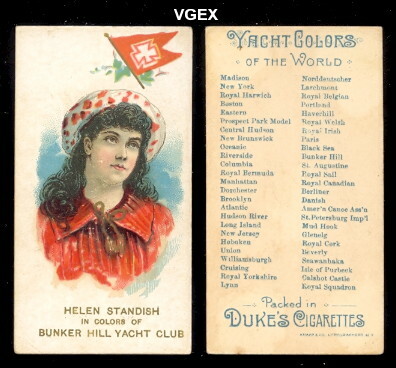 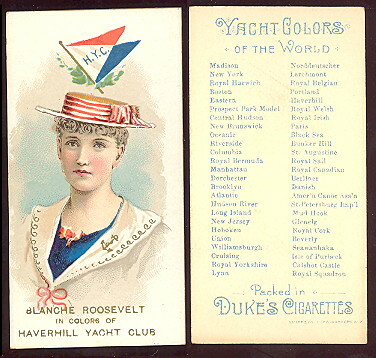 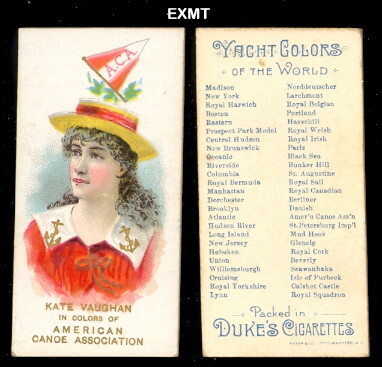 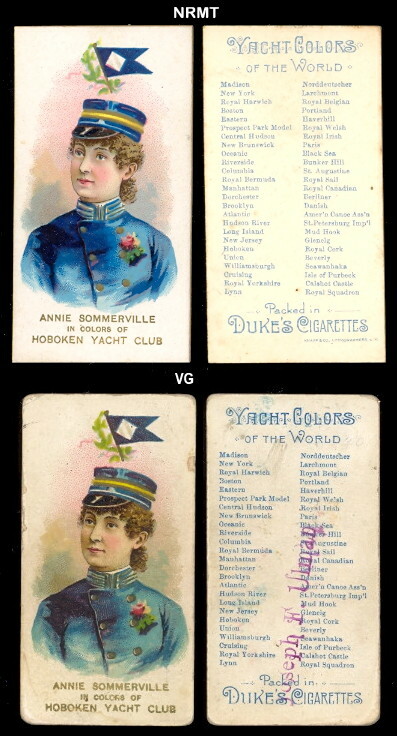 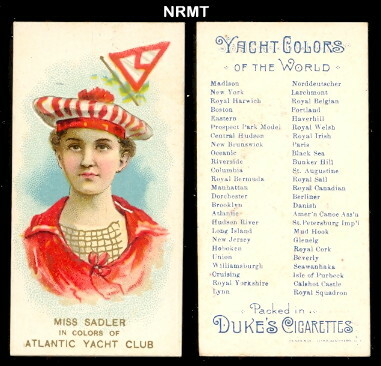 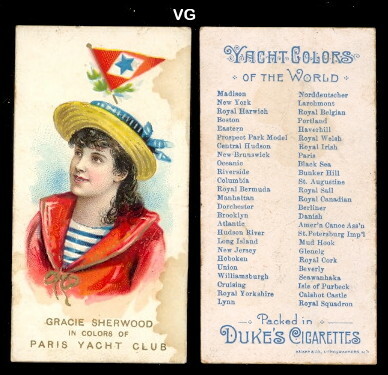 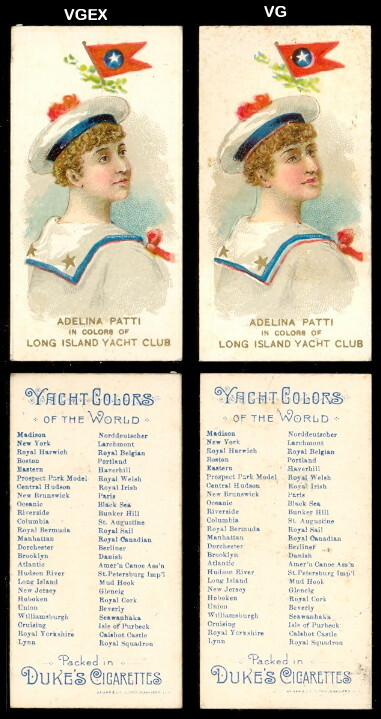 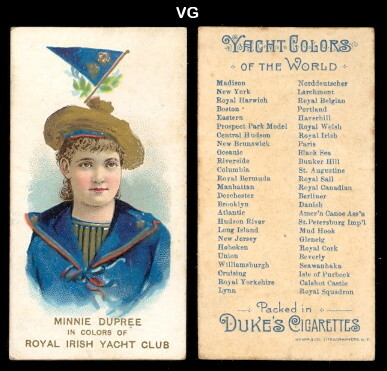 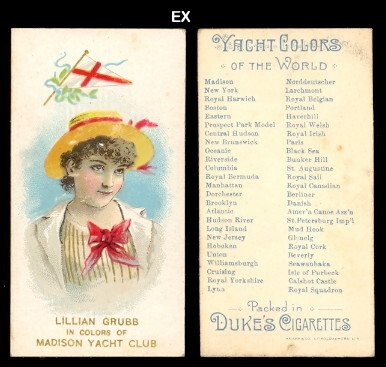 Duke released this series of 50 cards with famous actresses and beauties dressed in the colors of famous yacht clubs around 1889 or 1890. 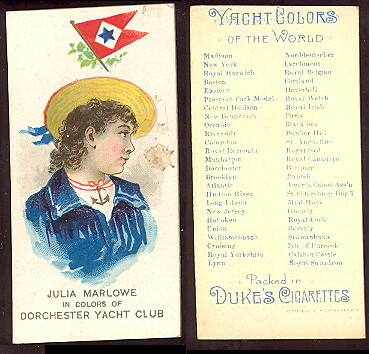 They can be found in regular size and the Duke Mixture variety are larger and more difficult. 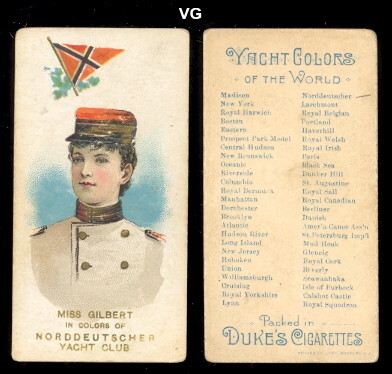 the regular size cards measure 1-7/16" X 2-3/4".